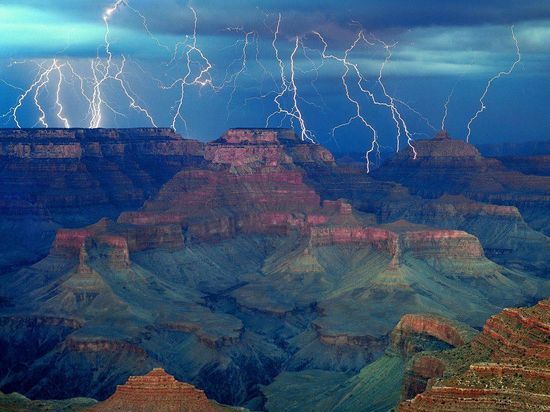 The Grand Canyon is spectacular anytime; but during a lightning storm, it’s really a sight to see. 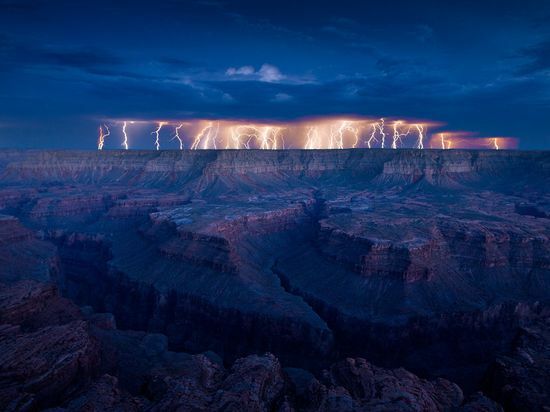 Since thunderstorms are something of a rare occurrance in the area around the Grand Canyon, there isn’t much of an opportunity to get shots like these; but thanks to the patience and skill of nature photographers, we’re all able to enjoy the view. 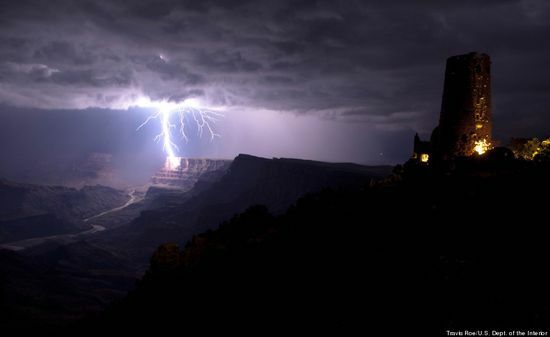 The lightning brings out colors in the Canyon we don’t normally see, allowing us to appreciate it in new and different ways. During one of our Grand Canyon helicopter flights, you’ll see all the beauty the area has to offer and even descend below the rim. On the way, you’ll also get spectacular views of the Hoover Dam and Lake Mead. If you’re going to be visiting Las Vegas, our tours should definitely be on your must-do list. Contact us today at (800) 871-1030 or (702) 472-9494 for more information!